Weather stripping and insulation are not enough to keep the cold air from entering the house during very cold days in Wetherby, Castleford, Holbeck, Morley, and Headingley. You need to choose the best central heating system for your premises. Talk to Eco Efficient Leeds, we offer you great advice on the best central heating installation in Leeds. However, if you have an outdated central heating system, it makes sense to upgrade to a new one as this will not only save you money in terms of energy bills, but also ensure a more comfortable home. Some people opt to make alterations in their central heating system to make it more efficient, but as a fact, this does not achieve much. 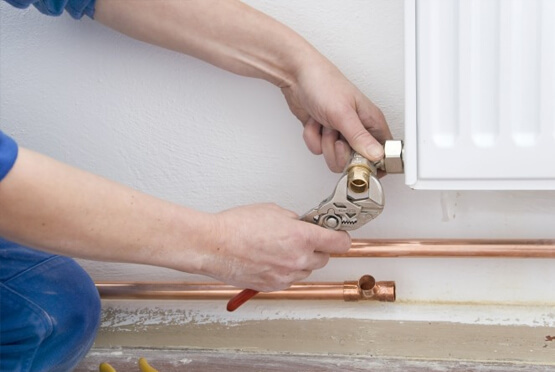 Some of the components that determine the efficiency of a central heating system are the pipework, boiler and radiator. Altering these parts may have little effect on the system, so why not just install a new central heating system? Central heating systems are cheap to install, run, maintain, and even repair when they breakdown. Imagine how much it can cost you to buy freestanding units for a premise with many rooms. It is a lot of money. As if that is not enough, you also need to run each unit separately each time you need a specific degree of temperature in a particular room. What happens when the units break down? You have to repair each unit separately! It is such a hassle; why not contact us at Eco Efficient Leeds to install a central heating system for you? It is a cost effective option that you will not regret why you invested in it. You should consider us to install a central heating installation. The system works off a sealed system where air circulates efficiently. Central system temperature is regulated from a central place, so you can control the temperature of the premise from one point. Since the temperature control is instant, you can achieve uniform temperature in minutes. We prefer a central heating due to its safety feature because of its sealed combustion chamber. Space heaters are risky as they can overheat, which can lead to fire. When installing the system, we follow all safety guidelines and instructions to ensure your safety when using the system. Central heating systems are very comfortable and flexible to use. You can choose the heat source, furnace model and distribution model of the system when using the system. Even though the initial cost of central heating installation in Leeds is high, you save a lot in terms of energy bills along the way. As a precaution, you should not compromise on the qualifications of the person installing the central heating system for you. The safety of the system depends on the installer. To some extent also, the longevity also depends on the company that you hire to install the system for you. Talk to us today and get the best installation services for your central heating in Leeds.